COSC is kicking off their “Grow Your Green” series and pledge at Smokey Row at 7PM on Thursday. 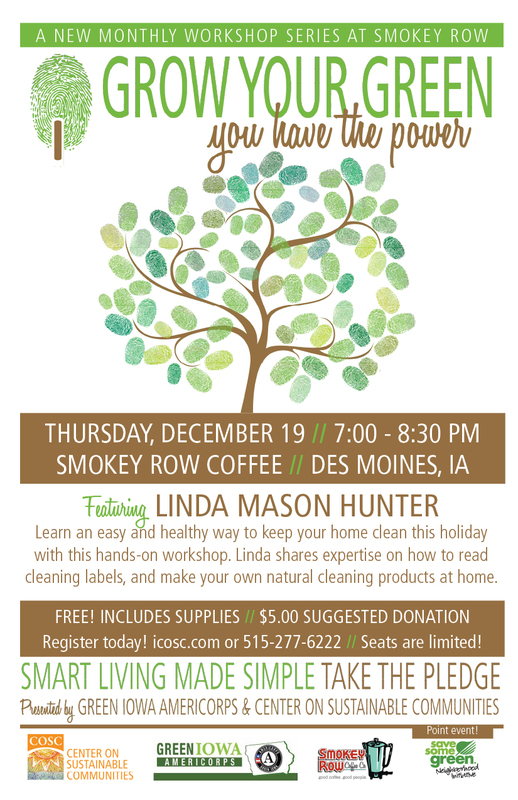 Linda Mason Hunter is their guest green expert and she’ll lead a hands-on workshop making natural cleaning products. Seats are limited and we encourage those wanting to attend to RSVP at http://events.constantcontact.com/register/event?llr=gg6tbxbab&oeidk=a07e8nvcqxm9a2a5eb5. 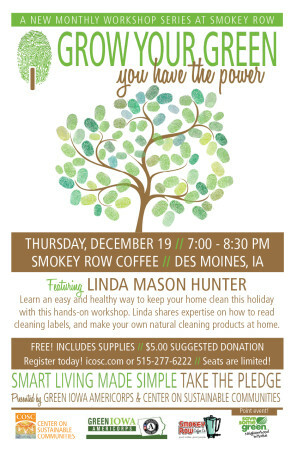 Here is a fun video that Green Iowa AmeriCorps members produced to promote the event.